Thomas, R. and Terashima, M. (2017) Aging Atlantic cities: Challenges and potential solutions for planners. Plan Canada 57(3): 8-11. Thomas, R. (2010) “Why can’t we get around?” Travelling under constraints in Metro Vancouver. 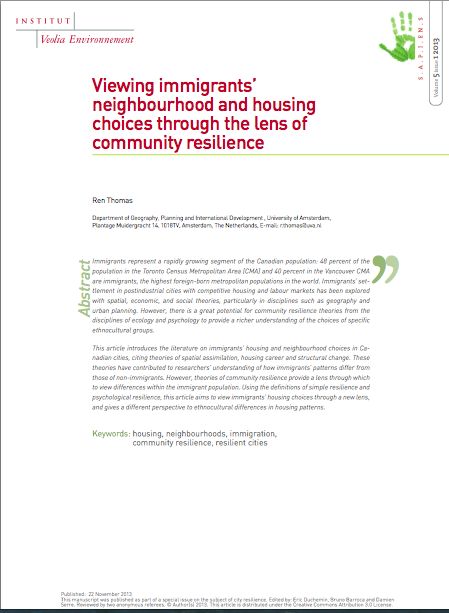 Canadian Journal of Urban Research 19(1): 89-110. 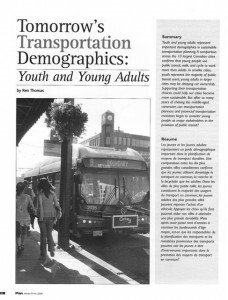 Thomas, R. (2009) Tomorrow’s transportation demographics: Youth and young adults. Plan Canada 49(4): 22-25. Thomas, R. (2008) Engaged or disinterested? 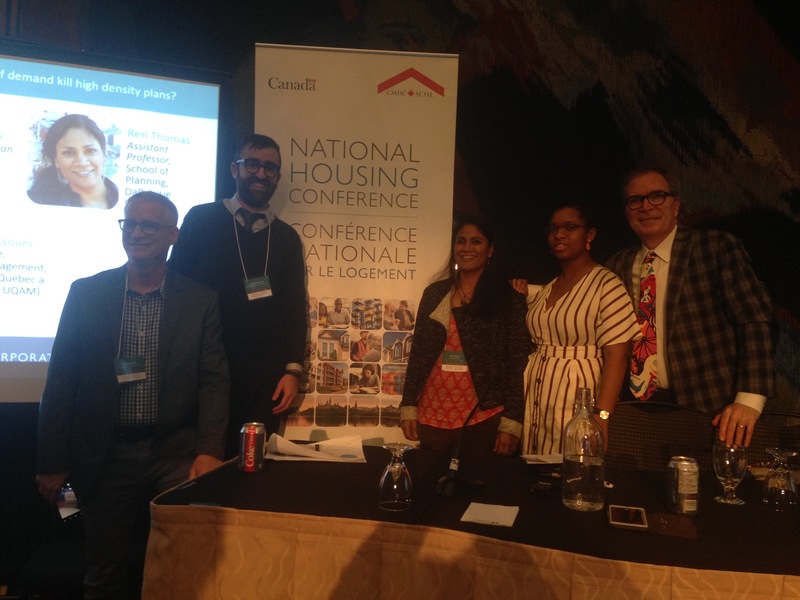 Youth political and civic participation in Canadian transportation planning. Critical Planning 15(1): 121-139. Thomas, R. (2004) Instead of global warming: Husky Industrial Campus. Landscape Architecture 94(6): 60-66. Thomas, R. (2002) A city’s sense of snow. Landscape Architecture 92(12): 123-127. Thomas, R. (2015) Changing Lanes: Visions and Histories of Urban Freeways (book review). Canadian Journal of Urban Research 24(1): 102-105. Thomas, R. (2015) Remaking the City Grid (book review). Spacing 36: 60. Thomas, R. (2014) Tipping Points. In A. C. Michalos (Ed. ), Encyclopedia of Quality of Life and Well-Being Research, Dordrecht, Netherlands: Springer. Volume 11, 6667-6670. Thomas, R. (2013) Human Transit: How Clearer Thinking about Public Transit Can Enrich Our Communities and Our Lives (book review). Journal of Planning Education and Research 33(2): 245-247. Thomas, R. (2011) Foundations of Governance: Municipal Government in Canada’s Provinces (book review). 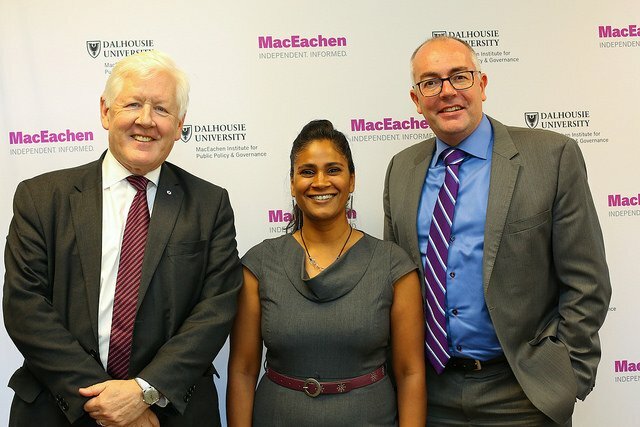 Canadian Journal of Urban Research 20(1): 164-166. 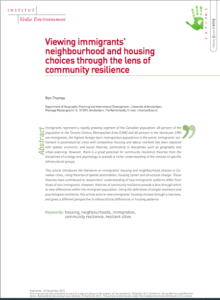 Thomas, R. (2011) Resiliency in Housing and Transportation Choices: The Experiences of Filipino Immigrants in Toronto. Ph.D. Dissertation. UBC. Supervisory committee: Penny Gurstein (supervisor), Tom Hutton and Elvin Wyly. Download the Summary here. Thomas, R. (2007) The Social Travel Patterns of Youth and Young Adults. Masters Thesis. UBC.